Malvern is renowned for being the purest mineral water there is and that’s why, for five centuries, Royals have made it their drink of choice. 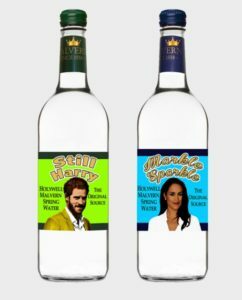 With the nation preparing to celebrate the latest Royal Wedding, Holywell Spring Water, who bottle water in Malvern, are offering an alternative to the usual bubbly. It comes in the bottle shape of Limited Edition Markle Sparkle sparkling water and Still Harry, which is non-sparkling but still exciting in its own way. Malvern water’s royal connection dates back to the 16th century when Queen Elizabeth I is said to have drunk it in public. It was first offered for sale at the Great Exhibition in 1851 and Queen Victoria refused to travel without it. Princess Mary of Adelaide and King George V both gave it a royal warrant while our current monarch, Queen Elizabeth II, is also reported to have taken it travelling with her. Hello and welcome to my stories. I wanted to start my stories with something that touches us all… It doesn’t matter whether we are large or small or what we believe in or where we are from, the one thing that we all have in common… we all want to be loved! I do, you do, we do! Love comes to us in many different ways, and often when we least expect it. 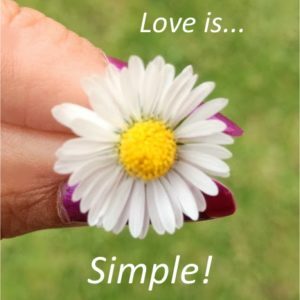 True love is simple and should not be complicated. But when love happens, and I mean really happens, there is nothing on this planet that could have you feeling on top of the world. Have you ever asked yourself what love is? Well this is what I think…. It is night, it is rain. 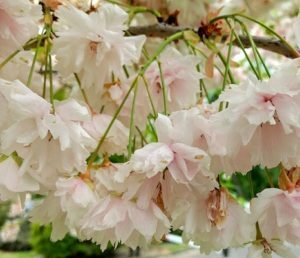 beautiful flowers and magnificent trees. We are like the trees – strong! We are like the bees that buzz and play our song.